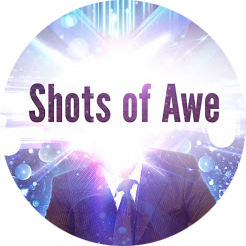 Shots of Awe with Jason Silva. Mind-boggling experience for body and soul in less than 3 min. Jason Silva is a media artist, futurist, philosopher, keynote speaker and TV personality. He is the creator of SHOTS OF AWE, a short film series of “trailers for the mind” that serve as philosophical espresso shots exploring innovation, technology creativity, futurism and the metaphysics of the imagination. Shots of Awe has received more than 13 million views. I truly fell in love with Jason’s project of Shots of Awe a while ago when it was at its beginning phase. Something resonated with me when I listened to few episodes and I couldn’t help it but watch all of the released ones. The whole idea was apparently born out of inner, unfed curiosity and quest for knowledge and answering questions about the nature of the Universe and Life itself in all its glory. Jason seems to be interested in… pretty much e v e r y t h i n g and is driven by inner urge to “know it all”.. So as you can see – I could relate to him pretty easily 😉 Watching his short 3 min top youtube vlogs became addictive to me at one stage and I am always excited and happy to see new release. 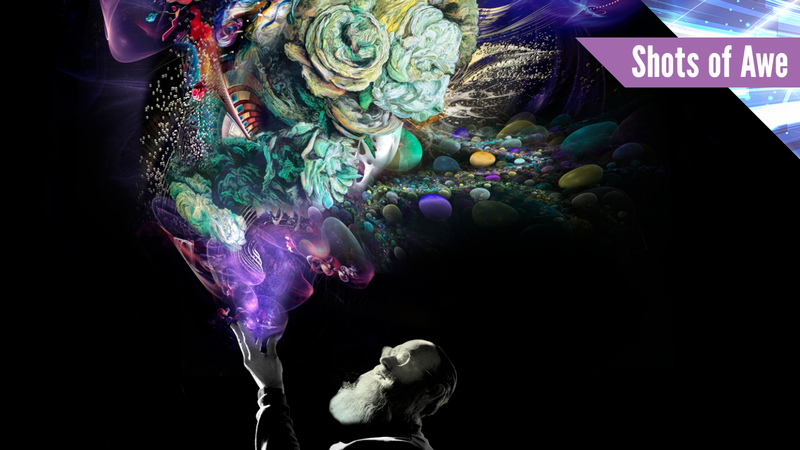 It’s a truly magical feast for the eyes, ears, mind and Heart. Amazingly sensual ride every time I tune into SHOTS OF AWE videos list. Each video is also charged with some meaningful philosophical quotations that literally make you stop, drop everything you do and THINK. Without a doubt and slightest hesitation I would make those short films a must see and played at schools initiatives. I am sure it would catch children’s’ and teenagers’ attention at once, without making them bored or distracted too soon – as each video is usually less than 3 min long – too little time for boredom to sneak in. Although they are short in nature, yet they brilliantly cover a a great deal of information and deliver remarkable knowledge, often closing the entire Universe in a few minutes’ nutshell ;-). I am sure this project established in schools would greatly contribute in development of curious minds interested in science, biology, evolution, consciousness and philosophy in children and the ability to question reality while getting on a path of quest for answers. After all, isn’t that what education should be all about? I believe watching the videos, so full of meaningful messages by quoting world’s best poets, writers, philosophers, scientists and intellectual personalities from all walks of life will inspire you in ways you don’t even imagine you can be inspired and moved. I am sure something will crack open in one’s mind and leave it open to new possibilities and stepping out the comfort zone, making a substantial masterpiece out of your life and escape ordinary. Coz after all… why not? Discover more on Jason’s website here : thisisjasonsilva.com and see the full LIST of videos up to date on youtube channel. “Shamans… Those ecstatic technicians of the sacred” Erik Davis. 10 Natural Cancer Treatments Revealed – Dr Axe article. Beating Cancer with Nutrition – Exerpt from great book.